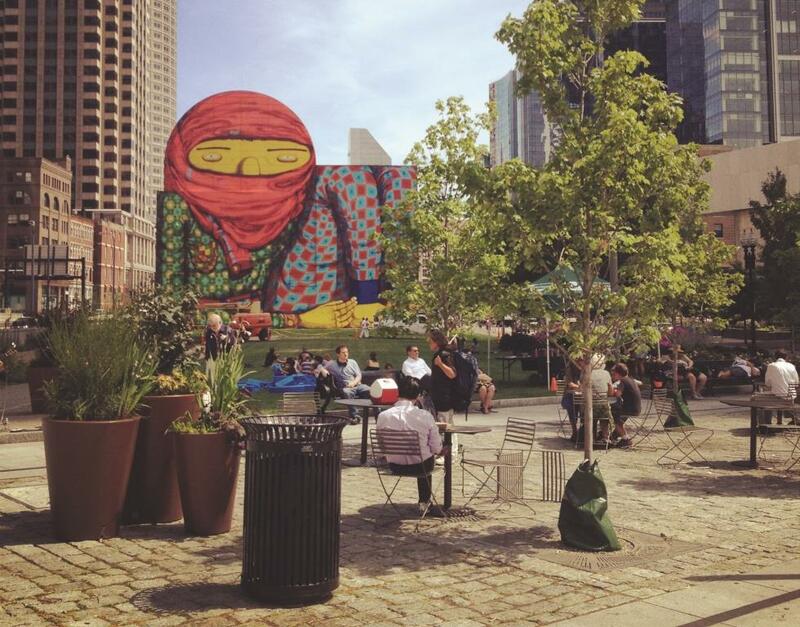 Lightweight interventions and bold public art brought new life and attention to Boston's underwhelming Rose Kennedy Greenway. Photo by Mike Lydon. This Tuesday, while many people were celebrating St. Patrick's Day, we were celebrating the publication of Mike Lydon and Anthony Garcia's Tactical Urbanism: Short-term Action for Long-term Change. We're very pleased with how the book turned out and it's off to a great start, with nice coverage on Next City and Slate and lots of exciting events coming up where you can hear Mike and Tony (including online, so no excuses). The book manages to be fun, practical, and inspiring all at once. If you've ever wanted to make your neighborhood a little more accessible but not known how to do so, Mike and Tony have collected innovative success stories from cities across the country to show the way. Publicity and marketing associate at Island Press; avid reader and tea drinker.